Robbie Deans still has the desire to coach the All Blacks. 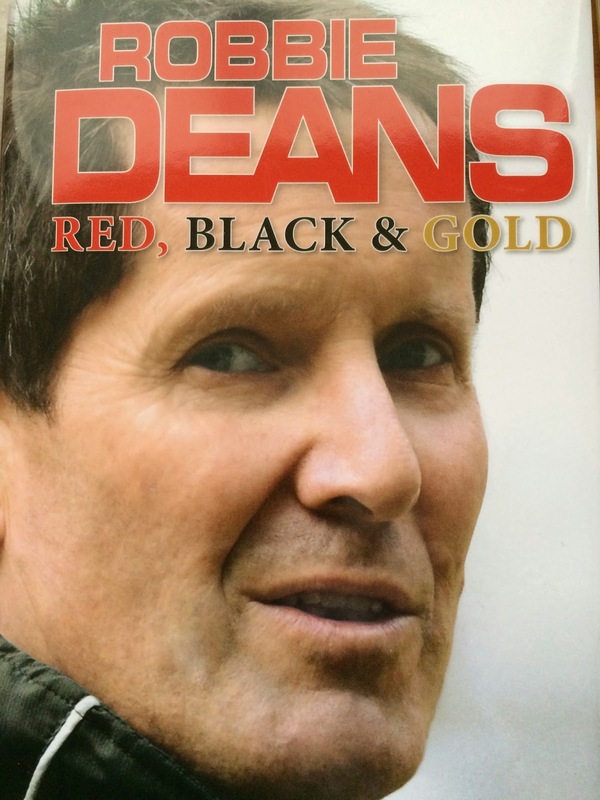 In Auckland to begin a nationwide tour to launch his autobiography, Rugby in Red, Black and Gold, Deans pre-empted the obvious question from the media by introducing the subject himself. "I get asked if I aspire to coach the All Blacks? The All Blacks are the ultimate coaching gig, who wouldn't want to coach the All Blacks? "You've got the best players in the world and they are players who understand the responsibility they have, and the privilege they have." Deans said he wasn't obsessed with the position, and that was probably a good thing. But it was a case of not knowing what was around the corner. For the moment he was enjoying his stint with Panasonic in Japan. He felt the All Blacks were playing well at the moment and making a strong case for their World Cup campaign next year. New Zealand were still benefiting from the key move they made in 2003 when they put a 'huge amount of work into leadership', within the All Blacks to ensure they could master their own destiny. "It didn't happen quickly. They thought they were ready to go in 2007 but ultimately they weren't. Richie [McCaw] talked about it himself in his own book. It takes time but to win the World Cup you have got to have genuine leadership beyond the captain. "You have to have a captain of substance for a start and he's got to have a support crew and New Zealand have done a huge amount of work on it and they have done it very well. "You see it routinely, getting home in games late. That's not about directions from the coach's box, that's about those blokes out there," he said. The All Blacks would go well in next year's World Cup, he said. They were driven, had good leadership and they had an opportunity to do something that had never been done – to win away from home and to be the first team to win three World Cups. "I'm not a betting man, but I wouldn't be betting against them," he said. And two of the players he introduced to Super Rugby and International rugby, Richie McCaw and Dan Carter had roles to play in the exercise. Deans said McCaw's career had been remarkable. "He continues to defy the norms. What he puts his body through and the fact he continues to grow, and you constantly get these suggestions that he's no longer as good as he was. What a load of nonsense. "He just keeps ahead and he uses everything he's got to do that, but most importantly with Richie, the point of difference with him now, is that you get another two or three percent out of everyone else around him. So you're talking about another 50 percent from the team - simply because he's there. He's making an impact not just by what he does but through his influence. "It's unprecedented. He deserves the title [greatest All Black] that [Colin] Meadsy had for so long," he said. Deans said it was no surprise the All Blacks selectors were giving first five-eighths Dan Carter all the time to come back into the side. He could still be a point of difference. "I would be confident he will get that job done. He doesn't fail in too many things he sets his mind to. His experience, his left foot, his defence, his attack, his decision-making are the defining things in those moments and we haven't seen him at that end of a tournament – the business end of a World Cup, we haven't seen him yet. "He's a bit like Richie, he could take it to another level and in doing that, I'm not talking about as an individual, I'm talking about his influence on the whole group. That's what great players do – they make teams better," he said. The injuries he had suffered were frustrating, but were down to the speed at which backs played. They were more vulnerable to soft tissue injuries and to impacts because they were travelling faster whereas forwards took blows at a slower speed, he said, adding there was probably a physics explanation of that phenomenon. Deans believes that despite all the turmoil surrounding his own dismissal and that of Ewen McKenzie, Australia still have the ability to win next year's World Cup. While feeling some understanding for McKenzie, Deans said international coaching was 'a tough gig' and what was happening in Australia was not good for the game. He believed coach Michael Cheika was good enough to get the best out of the side. "His flame burns hot and he will get a lift out of them," he said. "One of my motivations in going to coach in Australia was actually the importance of Australia to New Zealand. It is very important to New Zealand rugby that Australia is competitive and strong. And having been over there and experienced the environment, it is a tenuous environment. It's a tough environment," he said. "Because they are competing in the toughest sporting environment in the world in terms of other codes [AFL, NRL and the A-League]. And they're all village games, wherever you go people have an interest down the street and that's rugby's challenge in Australia," he said. "Cheika knows the context [rugby politics] intimately. But he doesn't get involved in the off-field stuff. That will be an asset. "The politics don't worry him, he's his own man," Deans said. And having the ability to pick his own support staff would be vital. Deans said not being able to choose his own people had been like 'coaching with an anchor'. "Michael Cheika knows the situation. He came out of the heart of Randwick and was a good appointment for the Waratahs and his personality is such that he doesn't get involved in the off-field stuff. He tends to drive his thinking, and his actions and the group to the things that are important to them. So far as the 'enfant terrible' who was behind all the controversy, Kurtley Beale was vital to the Australian side. "Kurtley Beale is a great kid but he does some daft things. He's vulnerable to the company he keeps, and that's the key. It would be a great shame to see him lost to the game. He's got a point of difference and he's a player people turn up to watch."